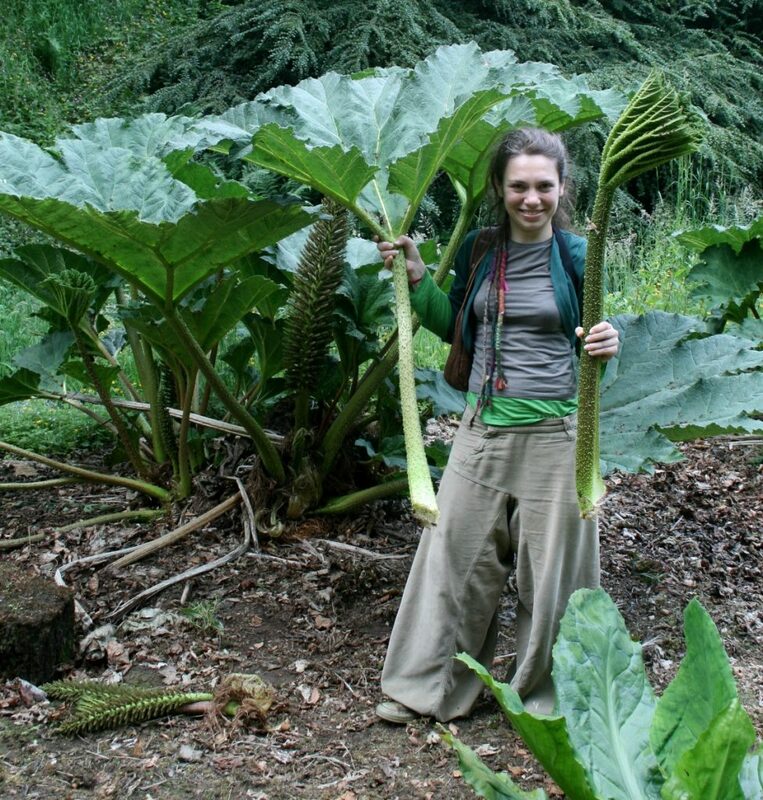 Isik working on the painting of Gunnera. The herbarium at the Royal Botanic Garden Edinburgh is an archive of preserved plants that is also a hive of activity; botanists busying themselves describing new species or curating and archiving historical or recently collected plant specimens from around the world. But there are other related and highly appropriate activities that go ‘hand-in-glove’ with this taxonomic research such as botanical illustration. 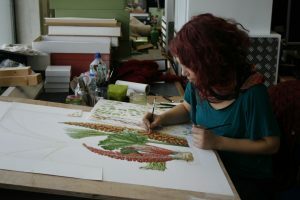 On the top floor of RBGE’s herbarium at one of the north-facing benches where the light is crisp but not too strong, can be found a highly accomplished artist – Işık Güner. Botanical painting of Gunnera tinctoria. RBG Edinburgh has a reputation for being a world-leading centre for teaching and training botanical artists and as such attracts some of the most talented illustrators to help teach the many courses the Garden offers. Işık is a visiting tutor from Turkey and is one of three Turkish artists who are contributing to the prestigious project ‘Plants from the Woods and Forests of Chile’. This book, featuring 80 watercolour paintings showing the remarkable diversity of plants from Chile will be published in 2015. 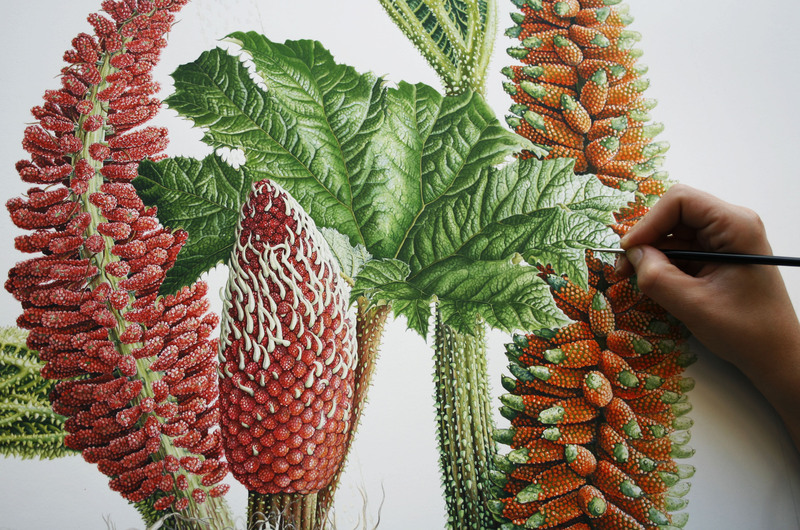 Işık has painted 42 Chilean plants for this book but perhaps none has been as demanding as her present ‘labour of love’ – Gunnera tinctoria. It has taken three months of commitment and sheer determination to paint this extraordinary plant and Işık has produced an astonishing painting. Isik collecting material for the painting. Wow. I just opened the image and zoomed to appreciate the full detail of this. Work of art is an understatement – who knew a rubarb could look so pretty!